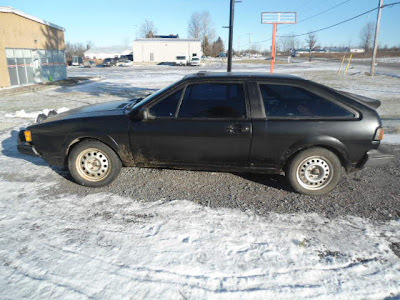 Buy Classic Volks – Volkswagen Scirocco for Sale in Canada. 1985 VW Scirocco Rally Car, full cage, tons of rally tires, many spare parts, still has CARS logbook, ran as recently as last year, needs some floor work but still solid strong runner. will do deposit, payment over time if necessary. This entry was posted in 1985, Canada, Closed, Scirocco, Volkswagen and tagged Volkswagen Scirocco on September 8, 2013 by Buy Classic.